On March 9th, I attended a friend's wedding and Malice is what I wore on my nails. I have a plethora of these seductive, deep, ruby reds, but I'm so enthralled with them that I just can't help myself. Malice was love at first stroke, and has become one of my favorite Chanel lacquers! 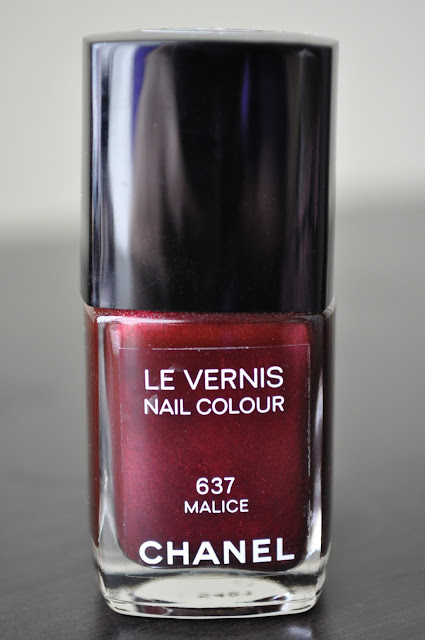 If you love dark, alluring, ruby reds, then Malice is definitely worth investing in!!! 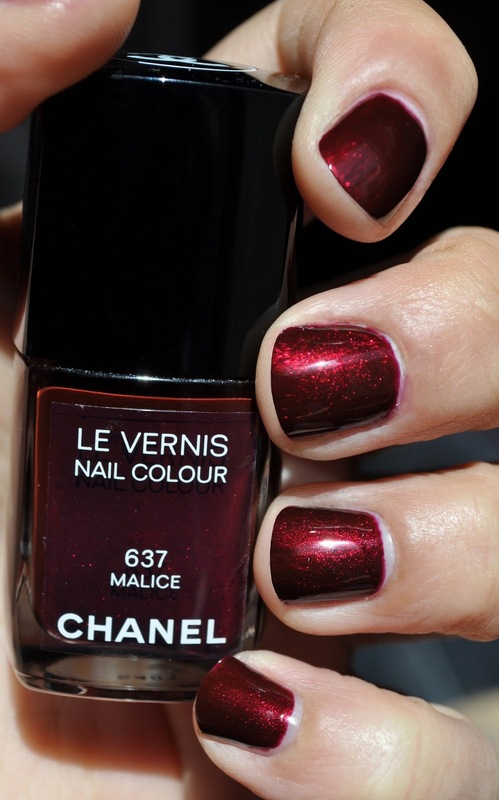 What are some of your favorite Chanel polishes? I have a similar color in a LMDB polish, Malice is gorgeous! SAme here, but I just can't help myself...Honestly Rola...I can't!